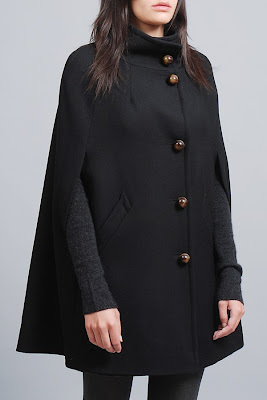 I have a small caplet that is super cute for fall, but lately I've been craving something more substantial for winter! Due to the shape and volume, capes can be a little tricky to pull off and look best with slim pants and heels - luckily two of my favorite things! This one is an expensive $499 at Otte, but you can't deny its classic beauty!